B-Air's Kodiak is an inflatable advertising fan with a 1 HP blower that is C-ETL-US approved for long periods of continuous use. It can inflate anything from bounce houses to advertising inflatables. The 1 HP high efficiency motor is protected by screens on open vents to prevent foreign objects from entering the fan motor. If these screens are blocked at any time, clear them immediately, as the fan will not be able to take in the necessary air, and may begin to overheat. 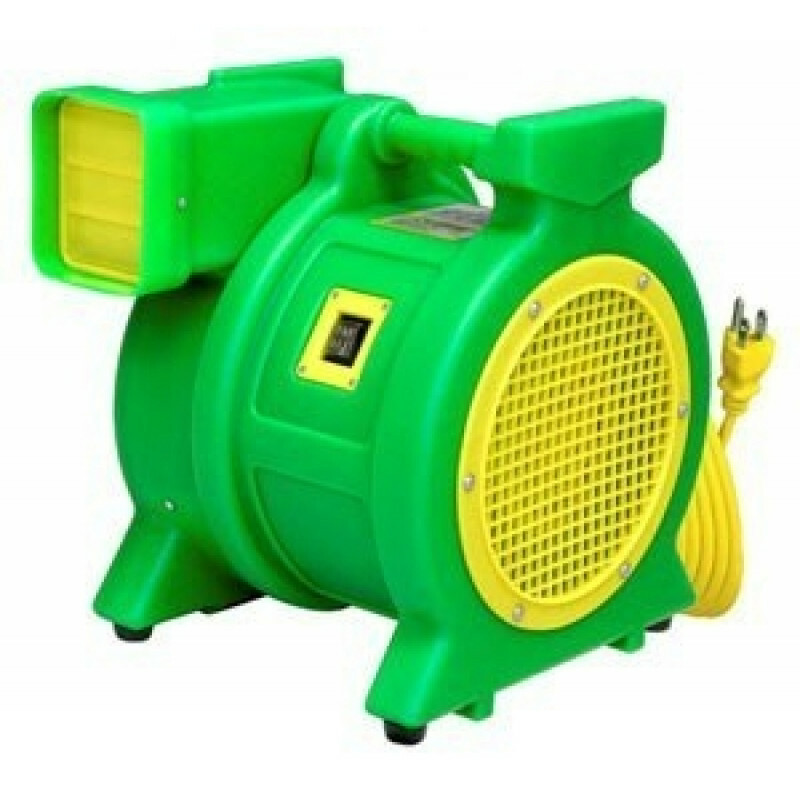 This inflatable advertising fan can be found in our inflatable blowers department, along with other models such as our large bounce house blower, and our inflatable blower fan. *Warning: The B-Air Kodiak must be attached to an inflatable or a duct to create back pressure when running, otherwise a lack of back pressure can damage the motor. Highly efficient blower pulls the minimal amount of amps and uses the smallest amount of space, in order to obtain the highest possible static pressure and air flow (CFM). Perfect for today's larger inflatables that require more pressure to keep them inflated. Built in handle and lightweight shell (33 lbs.) make it extremely easy to carry and transport. 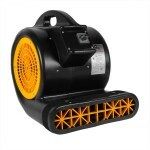 8.8" of max static pressure and 1170 CFM, make this the most powerful 1 HP inflatable blower we have to offer. Housing is backed by a 5 year warranty, while all parts except the power cord are backed by a 1 year warranty. This is a review for the Inflatable Advertising Fan.